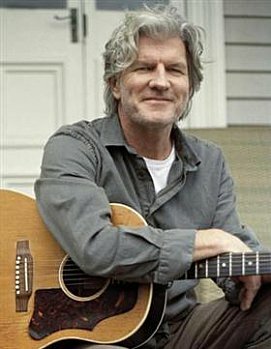 Tim Finn is one of New Zealand's most gifted songwriters. 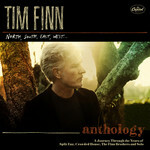 If his long catalogue sometimes lacks the easy pop-rock polish of those songs by his brother Neil (with whom he has frequently written and played) or the sentimentality of Dave Dobbyn's more recent output, that is only to say Tim has gone his own way. 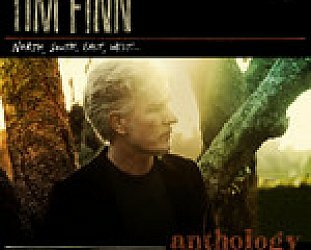 From the idiosyncratic and innovative songs with Split Enz through a series of solo albums identifiable by their often uncomfortable personal analysis to his more recent albums where he sounds increasingly a man at peace with himself and his past, Tim Finn has created one of the great, if sometimes, overlooked, bodies of work in New Zealand popular music. This timeline was prepared for EMI on the occasion of the release of the first overview of Tim's work with Split Enz, Crowded House and albums under his own name, the double CD, Anthology: North, South, East, West. -- Haul Away from the Split Enz album Time and Tide. Schooled at St Patrick’s College, later at Sacred Heart College in Auckland. Flatting in Auckland with Phil Judd while at university, Tim and Phil put together a band with Tim’s school friend Mike Chunn on bass, violinist Miles Golding, and flute player Mike Howard. They call themselves Split Ends and their debut is at the Wynyard Tavern, a café favoured by folk singers. They play just three songs, all originals. 1973: Split Ends play the Ngaruawahia music festival at 8pm on a Saturday night. It doesn’t go well. After recording sessions in Auckland a single For You/Split Ends is released. It is immediately hailed by critics as a milestone in New Zealand music (radio ignores it) and the band undertakes a national tour. Paul (Wally) Wilkinson joins on guitar and Geoff Chunn on drums. They appear on New Faces and come fifth out of the eight finalists. New drummer Paul Crowther joins when Geoff Chunn leaves, Crombie also steps in. Touring, concerts and singles follow. Split Enz tour in Australia. They play pubs, not their natural home. In ’75 their debut album Mental Notes is recorded in Sydney. It is released in a gatefold sleeve painted by Judd to critical and popular acclaim. It includes Judd-Finn classics Stranger Than Fiction, Maybe and Spellbound. It is widely considered, even more than 30 years after its release, as the great New Zealand album. Off to Britain. They record Second Thoughts, produced by Roxy Music’s Phil Manzanera. Tim’s brother Neil joins in 77. From Dizrythmia -- their album of ’77 -- springs Finn’s gorgeous ballad Charlie and and the hits Bold as Brass and My Mistake. Tours, albums, acclaim, bewildered British press reaction (their theatrical style in the punk and post-punk era), hailed at home . . .
Tim’s songs during these years contained strong autobiographical elements, a trait that he was to take into his solo career. 1983: Debut solo album Escapade, recorded and released while still a member of Split Enz, springs the hit Fraction Too Much Fiction (#1 in New Zealand, #7 in Australia, popular in Europe and #2 in Holland). After one last album, Conflicting Emotions, Tim leaves Split Enz for a solo career. 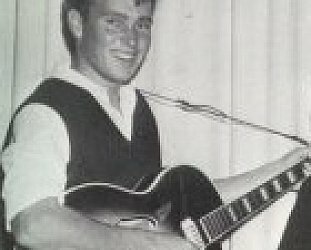 Tim also tried writing with Phil Judd and although nothing came of it, Judd played on the album. 1991: While back in Melbourne Tim works with Neil on songs Weather With You, It’s Only Natural and others which later appear on Crowded House’s Woodface album (which also includes their co-write Four Seasons in One Day). Tim officially joins Crowded House but leaves during the subsequent tour. 1993: Before and After album recorded in England, some tracks with producers Clive Langer and Alan Winstanley (Madness), most self-produced. 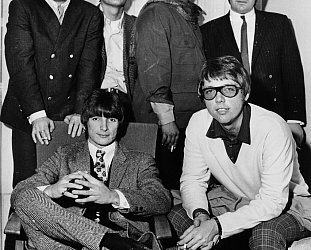 The album includes two co-writes with Neil from the Woodface sessions (Neil also appears), and Persuasion written with English guitar/songwriter legend Richard Thompson. The album and singles do well in the UK and at US radio, holding the #1 position at the fledging AAA format for 6 weeks. It goes to #3 in New Zealand. 1995: Altitude album with ALT (Andy White, Liam O’Moanlai of Hothouse Flowers and Tim Finn): “ramshackle, yet brilliantly charming collaboration” wrote Scott Kara of the New Zealand Herald in 2006. ALT plays Womad in Australia and shows in the UK and US. 1995: ”Finn” (aka Finn Brothers) album with Neil, with the brothers playing all instruments and Tim finally getting to play the drums in the studio. They take their act on the road through the UK, Europe and Australia and NZ. Tim also writes the single Runs in the Family for NZ Cricket as a way of acknowledging his father Richard’s love of the game. 1996: Eddie Rayner's ENZSO project in which Split Enz songs are orchestrated and played by the New Zealand Symphony Orchestra. On the album and tour, Finn sings I See Red, Dirty Creature, Stranger Than Fiction and Time for a Change. His and Phil Judd’s Under the Wheel read by Sam Hunt. 1997: Tim marries Marie Azcona in Sydney. Their first child is born February 1998. 2000: Together in Concert tour and album (with Bic Runga and Dave Dobbyn). 2001: Feeding the Gods album (again with producer Jay Joyce). Russell Baillie in the Herald writes, "with its stripped-back rock'n'roll energy, some of us declared it a late-career classic recalling the manic Finn of the Enz." 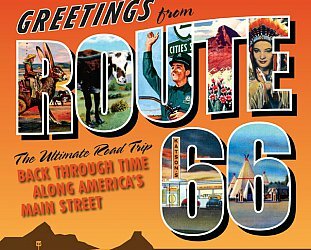 It includes Incognito in California written by Phil Judd, and What You've Done written with ALT members White and O'Moanlai. It is voted the fifth best album over all (and best New Zealand album) of the year by Herald reviewers Graham Reid and Russell Baillie. Tim and Neil each appear on Australian postage stamps. APRA NZ announces the list of the 100 top New Zealand songs of all time as voted for by Apra members: Tim’s Six Months in a Leaky Boat is fifth, Weather With You (co-written with Neil) is 16, and elsewhere are I Hope I Never (25), I See Red (28), Stuff and Nonsense (38), Fraction Too Much Friction (41), Four Seasons in One Day (with Neil, at 84) and Spellbound (with Judd, 96). 2002: Tim joins Dave Dobbyn and Bic Runga for a roof-raising Waitangi Day concert at the Brixton Academy, London. 2005: Highly successful tribute album to the Finn songwriters She Will Have Her Way sees Australasian women -- Renee Geyer, Missy Higgins, Natalie Imbruglia, Brooke Fraser, Goldenhorse and others, covering songs by Tim and Neil. 2006: Song Winter Light features on soundtrack to The Chronicles of Narnia: The Lion, The Witch and The Wardrobe (also to be included on the album Imaginary Kingdom). Imaginary Kingdom album recorded in Nashville with producer Bobby Huff wins Tim the Best Male Solo Artist award at the New Zealand Music awards the following year. The album includes a tribute to the late Enz/Crowded House drummer Paul Hester (Salt to the Sea) and critics hail the Enz-like energy as much as the elegant balladry and song writing. Finn, now resident on Auckland’s North Shore, active in the campaign to save the historic Victoria Theatre in Devonport. His brief song played to North Shore City Council has the refrain “how could you let her down?” and he recalls his sadness at the demolition of His Majesty’s in the Eighties where the Enz famously played. 2007-2008: Split Enz reunion concerts in Australia and New Zealand ( the True Colours line-up) pull huge crowds and critical acclaim. 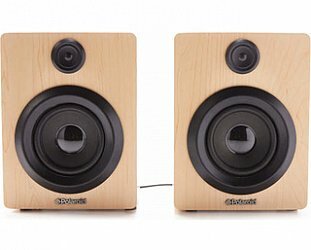 2008: The Conversation ,Tim's first acoustic album recorded at Neil’s Roundhead Studios is critically acclaimed. On it Finn writes reflectively, addressing the passing of time and his relationships with friends and loved ones including Phil Judd (“I found out that friendship can stop growing . . . I still don’t believe this is how it had to be, more fool me”). Elsewhere he addresses love for his wife and children, and is reunited with former Enzman violinist Miles Golding for the first time in over 35 years. The album is hailed as among his finest and Forever Thursday recounts his meeting with Marie. “There were a lot of memories, a lot of romance and a lot of gratitude in that song,” he says. “It just kind of poured out of me. 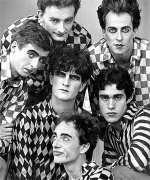 Also released is Enz to Enz, the Split Enz box set. “Still sounding ahead of their time” writes Scott Kara in the New Zealand Herald. 2009: January: Poor Boy, a play by Australian writer Matt Cameron based on Tim's songs opens in Melbourne and stars Guy Pearce. It is critically hailed and moves to Sydney for a season where Matt Newton takes over from Pearce. A Poor Boy soundtrack album is made available featuring Tim’s original recorded versions of the 12 songs. Tim plays the character Martin Williamson in Jason Stutter's film adaptation of Ronald Hugh Morrieson’s crime-comedy novel Predicament, alongside Jemaine Clement of Flight of the Conchords. They recently finished filming in Hawera, Taranaki. The film is due for release early 2010. 2009: September. Release of the double disc Anthology: North South East West with liner notes by playwright Matt Cameron. 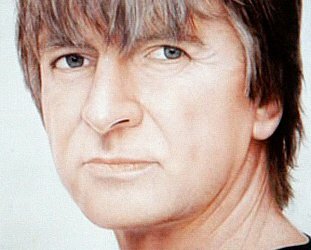 It includes material from his time with Split Enz, Crowded House and Finn, his solo albums and re-recordings of some songs and guests Missy Higgins, Bic Runga, Liam Finn and Neil.